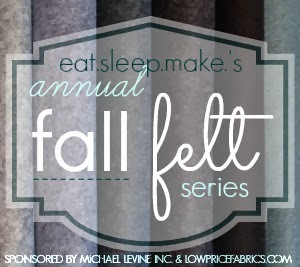 It's Day 4 of our Annual Fall Felt Series! Yay! It's bittersweet, though. So far, this is my favorite series of ours and I'm sad to see it coming to an end. I'm super excited about this DIY! It seems overwhelming, I know... but, trust me, it's worth the patience you'll invest in it! 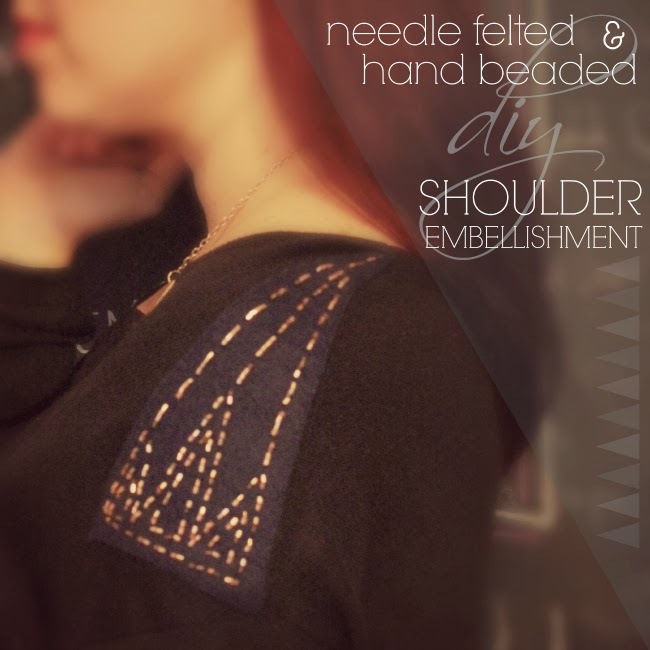 This DIY Needle Felted and Hand Beaded Shoulder Embellishment is the most amazing addition to any boring, plain sweater you might have laying around. 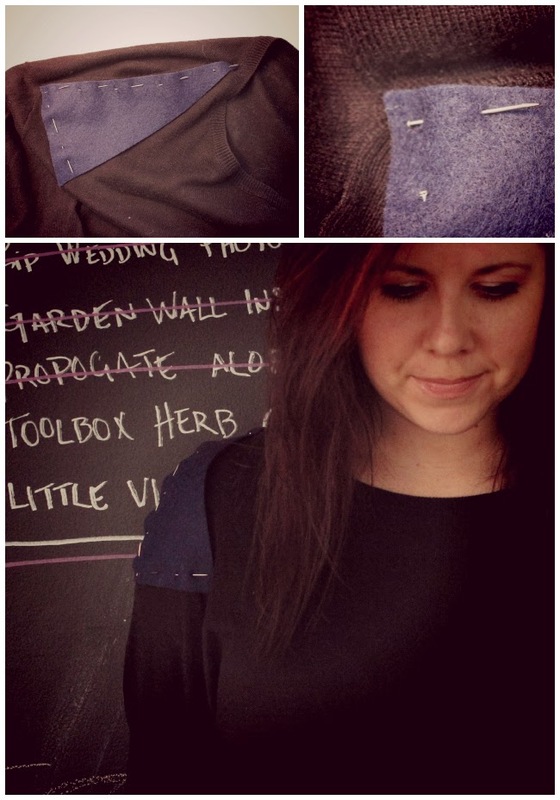 For my felt, I used For this project I used Michael Levine's Classic Navy 100% Wool Felt. This is the before.. boring, plain... BLAH. It needs a little something extra, I thought. 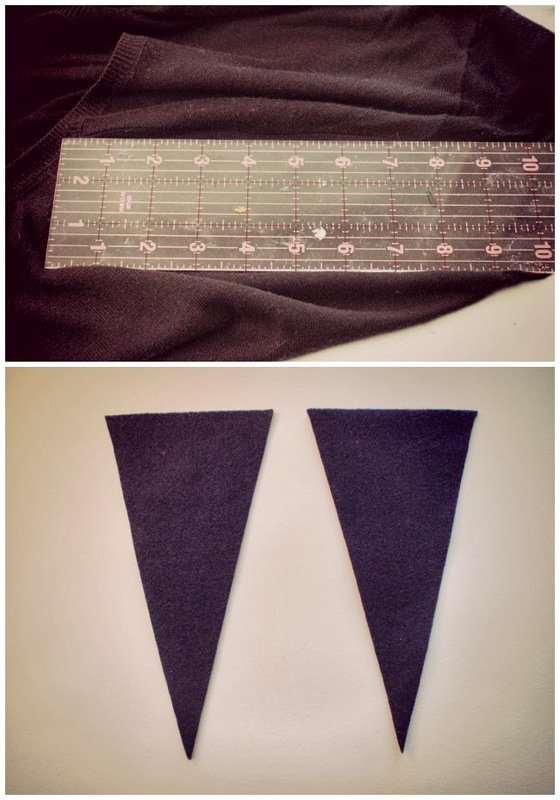 I measured the length of the shoulder seam, from collar to sleeve. I made my triangle exactly that long and half that wide. 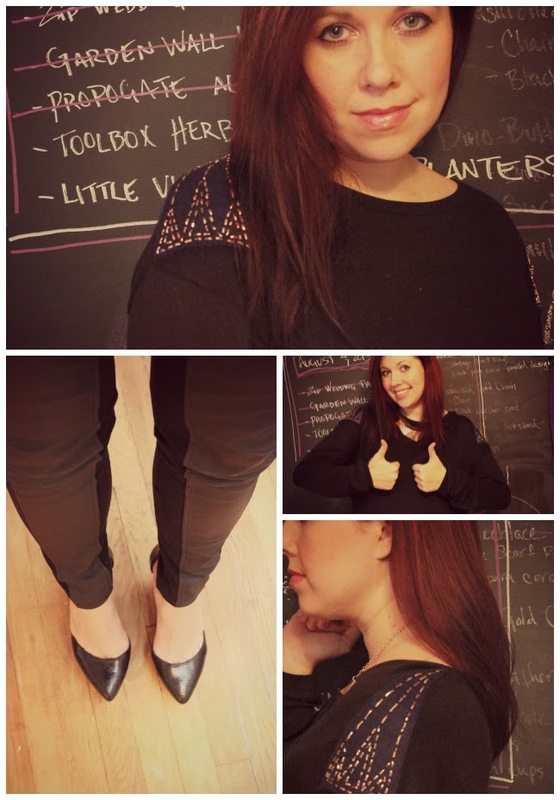 Next, pin it in place and then try on your sweater to make sure you like where your embellishment lies. Once you've settled on placement, starting punching away with your needle felting tool and brush. 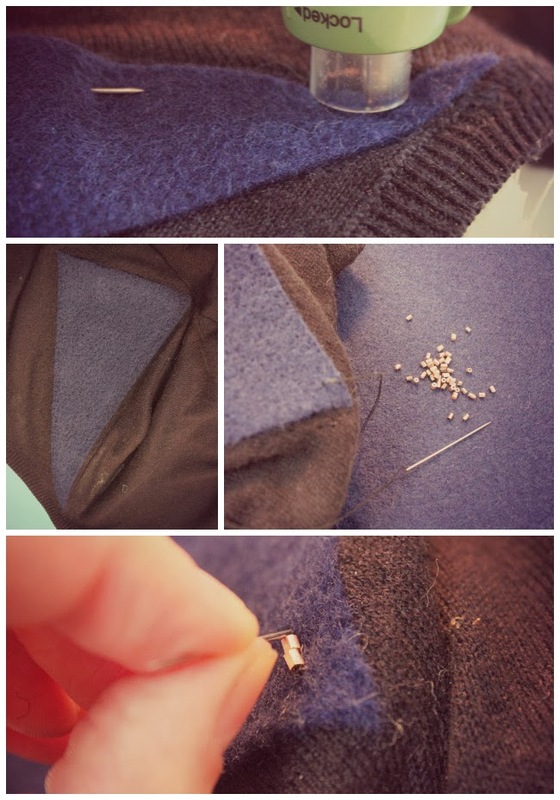 Remove pins one at a time as you go along needle felting to make sure the felt stays in place. When you get both felt pieces needle felted on, you can start your beading! I just made up my design as I went. I used tiny little copper colored seed beads and black thread. There's really no technique to this other than exercising A LOT of patience!! You just need to keep reminding yourself how amazing the outcome is going to be! 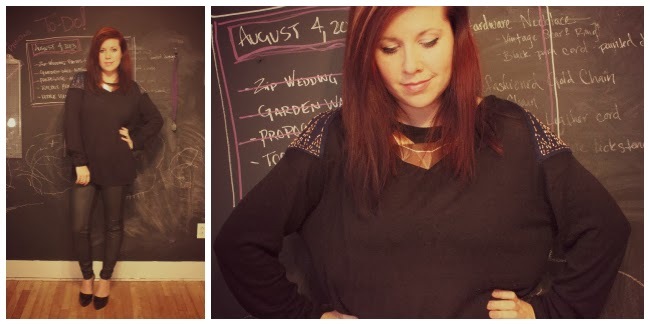 For the record, I am totally digging black and navy together right now! 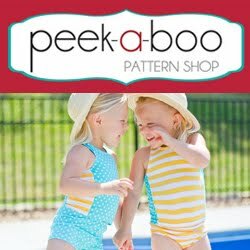 Don't forget to check out LowPriceFabrics.com and grab the discount code from our sidebar! 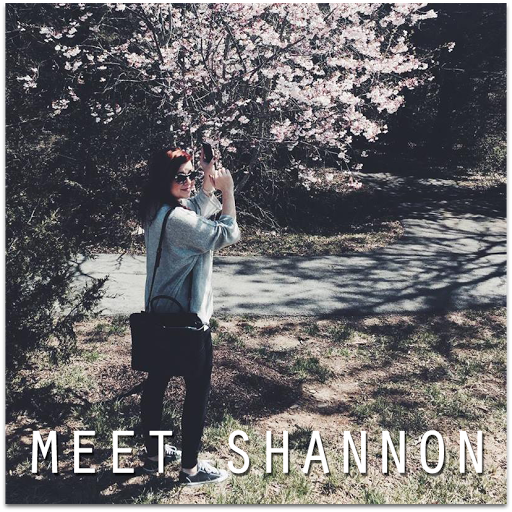 We are so incredibly excited to have them sponsoring this series. Seriously, their deals are to die for! 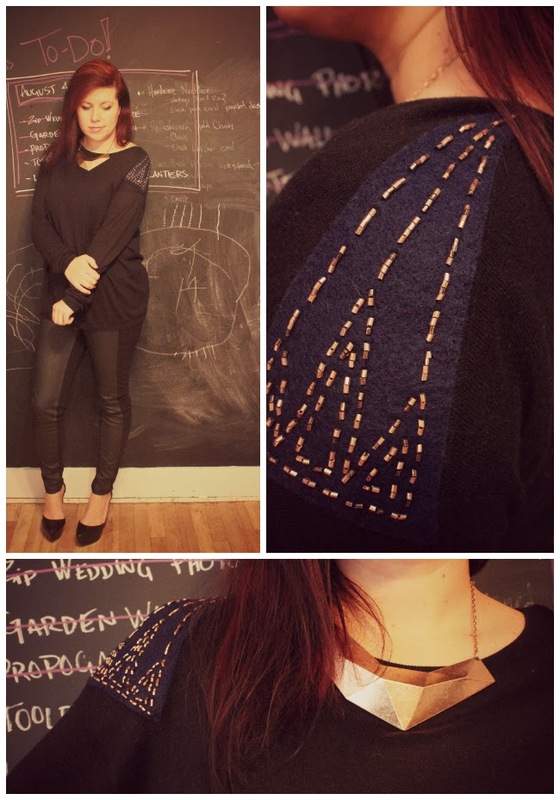 Ooh, I love how simple this is and I think the beads really kick it up a notch! 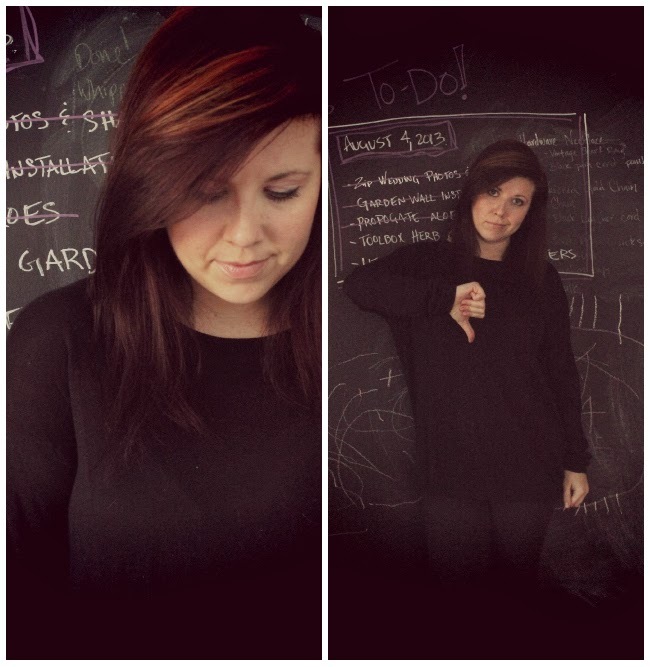 I have so many good quality but blah sweaters that could use a quick fix like this. Great idea! I'd love if you'd consider linking up with my new link party - http://www.dreamalittlebigger.com/post/link-party-9.html -- hope to see you there! Hi, thanks, I really like this idea and am definitely going to try it on at least one boring sweater I can think of. I was wondering, do you think it would work to just sew on the pieces of felt? I don't have a needle felting tool or brush.. What is it that these tools do? Do they just make the felt adhere better to the fabric? Great idea, thanks! Would it work to just sew the felt pieces on if I don't have a needle felting tool and brush? Or would this look weird? What do these tools do, do they make the felt adhere better to the fabric underneath, maybe?